In 2012, a fire was deliberately started in a house where six children lived in Derbyshire, UK. The children did not respond to the smoke alarms, and as a result all six lost their lives. The investigation into the fire showed that the children were not intoxicated by the smoke. It was concluded they failed to associate the sound of the smoke alarm with the fact that there was a fire in the house even though they were taught about fire drills and took part in regular drills at nursery and at school. Fire safety, and how to get out of a building in the correct manner are routinely taught and practised in schools along with road safety and safer internet skills. At home, parents teach their children about the dangers of electricity, not opening the door to a stranger, wearing a helmet when learning to ride a bike, and many other safety skills they need to equip themselves as they grow into adulthood. Unfortunately, educating children about smoke alarms is not something that is included as common practice, or discussed within the home. It may not be the most exciting topic of conversation, but it will help save lives. It is important to include the children every time smoke alarms are fitted, or when the batteries need replacing. It can be difficult to hold young children’s attention to understand about fire safety and hazards. Parents can use a number of techniques in order to ensure children take on board the message about what happens when the smoke alarm goes off. One way is to turn fire safety into a game, and to reward them for getting out of the home by the correct route. Think about it as an interactive exercise. When installing the smoke alarm, involve the children in testing the alarm making sure it works. Get them to go to different parts of the house and tell them that as soon as they hear the alarm go off, they have to get out into the garden while you time them to see how quick they can be. With a family of young children, this can be turned into a competition with appropriate rewards. You could even create a league table for the quickest exit. Back this up with some online puzzles and games such as finding their way through the maze to get to the safe meeting place. Colouring in images of firemen, and pinning these up next to the safe exits is also a good idea. Search online as there are several free resources available to download that are age appropriate. There are also books and stories available that can be read before bedtime. The importance of fire safety is emphasised in suitable language for young children, teaching them on what to do in the event of a fire. Once again, you can back this up by making sure they know what your smoke alarm sounds like. As children get older, they can be involved in fitting and testing the alarms, and this can be made part of their regular chores (linked to payment of pocket money or weekly allowance and the message will get through to them). Involve them in planning the family escape plan. With their technological skills, they can probably upload a template of the plan and ensure it is messaged to all relevant family members. If they have younger siblings, work out a buddy system for getting everyone safely out of the home in the event the smoke alarm detects a fire. It is also worth installing a cigarette smoke detector particularly as the family grows up and the adolescents start having more autonomy and can be left home alone. These alarms will indicate any problems if there are any unplanned parties and smokers are invited when the parents are away as they will detect traces of cigarette smoke. With all children, it is important that parents do lead by example so even if there are false alarms, follow the planned drill so they get used to getting themselves out of the home when the smoke alarm goes off. If cooking at home and the alarm sounds because of burnt food or fat that is frying at temperature that is too high, don’t be tempted to ignore the situation. While it is easy just to open the windows and get the smoke out of the house and carrying on cooking, use the situation to have a practice family fire drill. You can explain to children what caused the alarm to go off. Praise them and give the appropriate reward for getting themselves out into the safe meeting place. Don’t forget to check that even when asleep, children are able to hear and wake up if the smoke alarm goes off. Roused from a deep sleep can be very disorienting for adults, let alone a small child. If you have older children, pair them up with the younger ones and have a practice run. Make sure you test the alarm regularly and keep it dust free with a charged battery, and involve the children in helping with this chore. Smoke alarms save lives so don’t forget to speak to a professional company who can advise on the best type of smoke alarm and the locations they need to be fitted in the home. 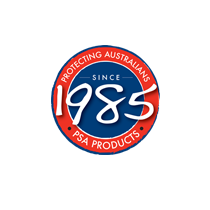 At PSA Products, we have been been protecting Australian families for over 30 years. We design, manufacture and distribute a complete protection solution of fire products to the electrical and fire industries. 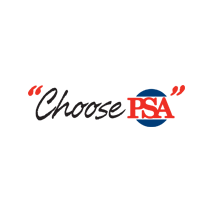 For our wide range of smoke alarm products, click here.